Are we looking for a new head coach? What are your plans for Harkless and Harris? How do we plan to woo upper ecehlon free agents? Announcer Dennis Neumann and General Manager of the Orlando Magic, Rob Hennigan, conducted Hennigan’s first video FanForum with Magic fans. 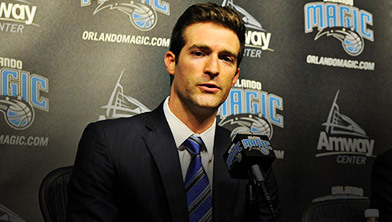 Questions and discussion ranged from Rob Hennigan’s thoughts on the Orlando Magic head coach, current outstanding players, and the status of rebuilding for the Orlando Magic.